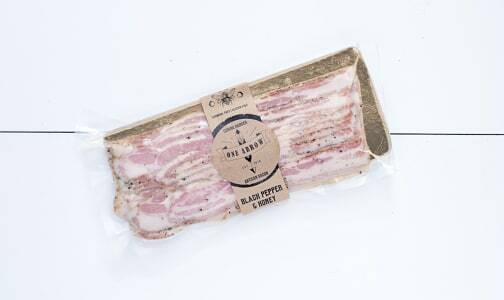 One Arrow bacon is flavoured with unique dry rubs in three iconic flavors: Black Pepper and Honey, Hickory Smoked Maple, and Chinese Five-Spice. 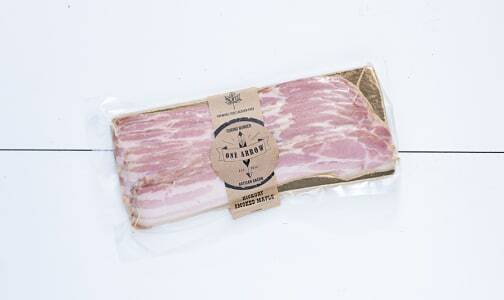 Proud to use local ingredients, One Arrow sources honey from White Rock, BC, and Maple Syrup from Squamish. 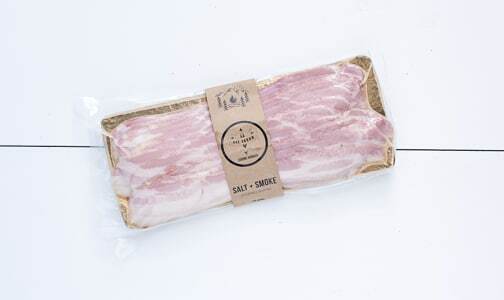 The hormone free pork from Johnston Farms is 100% naturally smoked (with no liquid smoke added). 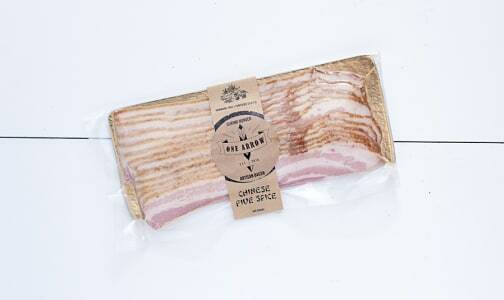 One Arrow Bacon is made in Vancouver, B.C in small batches.